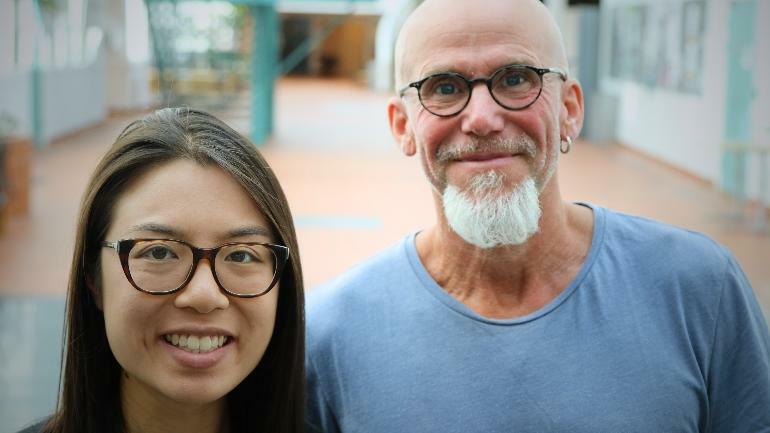 Practicum: Kristy Yiu and supervisor Steffen Torp are both pleased to see that the agreement between McMaster and USN has led to a lot of knowledge exchange between the two institutions. Photo: Stian Kristoffer Sande. The partnership between USN and McMaster University from 2015 has already resulted in the creation of a Global Health course. Now they are working to establish a new and unique master’s programme within the same discipline. While many of us enjoyed the warmth of this year’s June and July outside, Kristy Yiu spent most of her summer inside her office at campus Vestfold. She is a master’s student in Global Health from McMaster University in Canada who completed her field practicum at the University of South-Eastern Norway (USN). "I have assisted USN in their work of developing their own master’s programme in Global Health," Yiu says. Based on her findings this summer, there is especially one particular aspect Yiu suggest USN should integrate as a theme in their new programme. "Migration is increasingly affecting Norway and the Nordics. Knowledge on how welfare states health systems affects the health conditions of its citizens will likely be more important in the future, but in today’s Global Health programmes the topic is not well covered. My opinion is that USN’s should make this topic central in their new master’s programme." Yiu’s work in Norway this summer has primarily consisted of two different tasks. "The first part was to examine the content of existing Global Health master programme’s at other universities. This gives us an understanding of which topics within the subject field we have covered and which we need to dig into to get more knowledge." Yiu has examined programmes offered at universities who are in partnership with McMaster. In addition, she has researched Global Health programmes offered at other Nordic universities. In part two of her work, Yiu compared Global Health research projects with research projects being done within the field called International Health, to see how these two differ from each other. "My comparison study has shown that International Health mostly focus on the affairs in poorer countries. Global Health on the other hand have a wider approach. It takes on both poor and rich countries, to see how their systems can have an influence on the development of health conditions other places in the world." The Canadian is happy with her stay at USN, which lasted from the end of May until July 30th. Yiu describes her practicum as intensive, exiting and educational. "I have during this brief period of time extended and strengthened my understanding of what Global Health really is. I owe my supervisors many thanks for this, as they have showed a great deal of interest for my project. They invited me to several staff meetings where I presented my work and my results." Yiu also speaks highly of the partnership between McMaster and USN. She feels the institutions have a good understanding of what students wish to achieve through their exchange. "Students wants to see their work come to good use. Here I have witnessed with my own eyes that the results from my studies have an impact on how the project develops. That is inspiring and motivational for a student." Yiu also recommends students to do their practicum in a foreign country because of the general advantage students gets from having worked abroad. "Global Health is a field where international practice is important. Practice helps you better understand how other people and cultures sees and experience the world." 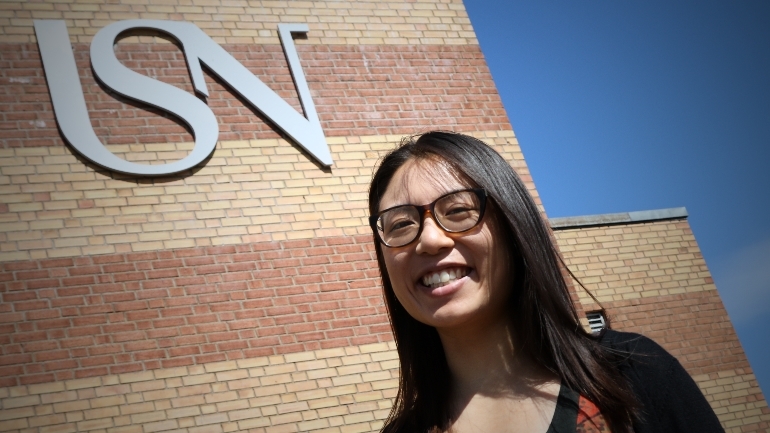 Yiu is the third McMaster student who has done her practicum at the Faculty of Health and Social Science at USN after the partnership between the two universities was established. "Our collaboration has led to the creation of USN’s first course in Global Health," Steffen Torp says, Professor at the Department of Health, Social and Welfare Studies, and Yiu’s supervisor. The course is developed in cooperation with McMaster and Dutch Maastricht University. "The Norwegian Welfare system is a central theme here. We discuss how they differ from other countries systems, so this gives students an insight into how this unique welfare system affects the health conditions in Norway. We especially focus on the impact it has on migrant health." SEE ALSO: Interested in taking a master course in Global Health course USN? According to Torp, students from both McMaster and Maastricht attended the Global Health course last year and this year. In addition, several USN students and teachers have exchanged to McMaster since the partnership became a reality. The professor now hopes to expand the partnership. "McMaster is in a consortium with other universities who works with Global Health, and now USN has started to collaborate with some of those too. In fact, UNS employees has given lectures at the Afad University in Sudan and the Thammasat University in Thailand, and we have built up a strong relationship with Maastricht." Torp also wants to praise the McMaster students that has exchanged to USN. "It has been a pleasure working with these students. It is both exciting and valuable for us to hear their reflections on our course, on their practicum and their take on Norway as a country to live in. Yiu’s contribution in our project means a whole lot for us, because she adds her own perspectives to it. These are to us new perspectives, which means she alone raise the quality of the product." 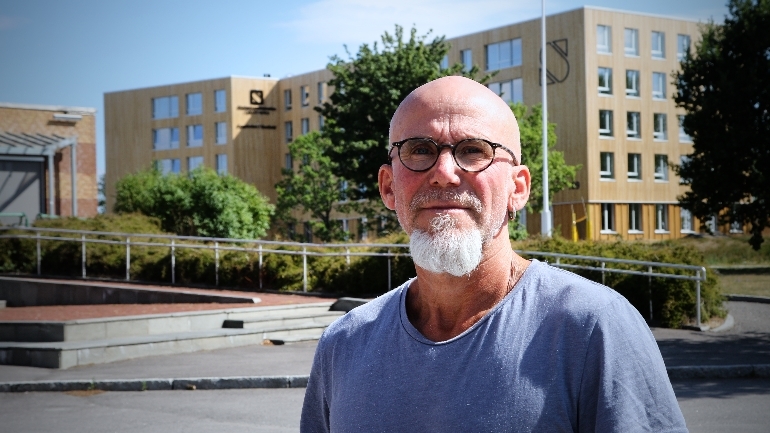 Torp feels that it is natural of USN to have its own master programme in Global Health. He explains this with reference to today’s global trends. "This health thematic has become increasingly important since the refuge crisis started to affect both Norwegian and European politics. We at USN should take our part of the common social responsibility and offer an education that provides important and vital knowledge to personal in health and social departments, and of course other departments of importance to the population’s health conditions." Torp says they aim to offer the whole programme in English. "Firs and foremost, this theme is suitable as an international programme. Students will most likely work abroad or with people from other countries who don’t speak Norwegian. Secondly, this will show that USN takes its newly accredited university status and internationalization role seriously." Master course in Global Health offers teaching in Globalization, Global Health, Migration, the Welfare State and health in the Nordics. This interdisciplinary elective course (worth 12 ECTs) is offered both to students in existing MSc programs at the Faculty of Health and Social Sciences at USN and the Global Health Program at McMaster University, as well as to students from schools partnered with USN. Partner school students can apply to take just this single course, or combine it with other theory courses or a practicum and stay for an entire semester.